Retrieves data deleted/lost from hard drives, iPods, flash memory cards, camcorders, USB drives, FireWire Drives etc. 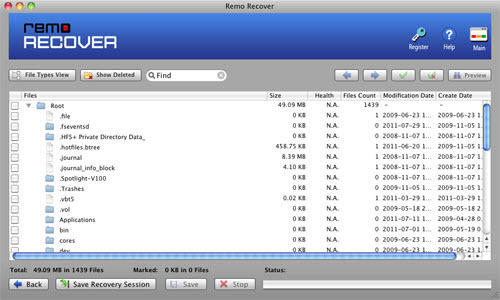 Looking for the best Mac recovery software to restore lost data on Mac OS X? Then Don’t Worry!!! The Best Mac Restore utility is here for you. 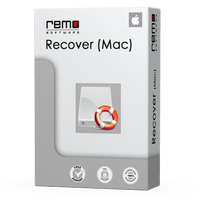 It assures you a safe and riskfree recovery process to retrieve all your lost Mac data. That is why Best Mac Recovery Software has been appreciated by the Industry Experts and the customers all around the globe. It is one of the best Mac recovery utility to recover emptied trash data on Mac. Videos are popular nowadays as they capture lively emotions and actions than images. You may have captured your memorable moments in the form of videos. But this files cannot be spared from loss. You may delete the file by mistake & later regret doing so. But by using the Best Mac recovery utility you can easily get back all deleted videos with ease. Unintentional Deletion: Data from the hard drive of your Mac machine or any other storage devices can get unintentionally deleted by the user; such as accidentally deleting any data using the Shift+Command+Delete option or using Command+Option+Delete, accidental emptying the trash bin, or unknowingly etc. Accidental Formatting: Formatting any Mac volume or any other storage device accidentally leads to data loss from that particular volume or the storage device. For e.g. formatting a wrong volume while installing more than one operating system on the hard drive leads to data loss from that volume. Removing the USB drive, memory card or any other external drive abruptly while some data are being transferred from that drive to the computer’s hard drive or vice-versa. Storage Device Corruption: This section includes the data loss scenarios related to corruption. Apple Partition Map Corruption: Apple partition map holds the details of the volumes on the hard drive, their location, size acquired etc. If the Apple map is corrupted due to any reasons like a logical problem, operating system malfunction etc., then the entire drive may become inaccessible to the user leading to data loss. The Best Mac Recovery utility can restore corrupted Mac volume efficiently with all the data present inside, safe and sound. Journal Corruption: Journal files are one of the important features in Mac operating system, which enables you to restore the data lost after an accidental shutdown of the system or instant power failure. Sometimes, the journal file may get corrupted due to overlapping of the journaled Metadata and un-journaled file data resulting in data loss. Catalog File Corruption: Catalog files play a vital role in accessing the data from a particular Mac volume. Each volume has its specified catalog file which stores all the necessary details about that volume. Data from a particular Mac volume can be accessed with the help of the node of the catalog file specified for that volume. If the catalog file or its node is corrupted or damaged due to any reason, the entire volume will be inaccessible leading to data loss. Volume Header Corruption: Volume header of a particular volume is similar to a file header which contains all the essential components of the volume. The volume header can be corrupted due to instant power failure, software malfunctions, improper system shut down etc. Once the header of a volume is corrupted, then the entire volume becomes inaccessible leading to data loss. What are those precautionary measured to be followed to avoid permanent data loss? Stop using the storage device right after data loss because; writing of any new data into that storage space may overwrite the deleted/lost data. Do not install the Best Mac Recovery tool on the same storage space which contains wiped/lost data. This is because; installation of the data retrieval utility may overwrite the lost data on that storage space. Make sure that the destination location for the recovered data is not same as the location which contains the deleted or missing data. Samsung, Toshiba, HP, Panasonic and many more common brands of flash drives supported by Mac OS X data recovery software. This software helps to recover corrupted hard drive on Mac Sierra OS as well as on different Mac versions quickly. 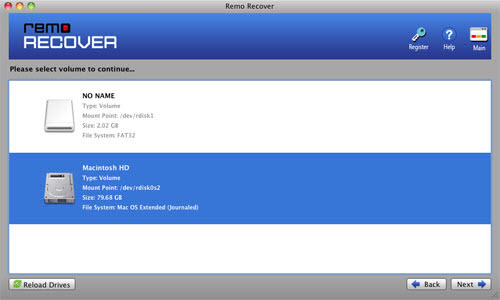 Best Mac Recovery software also restores photos, audio and video files lost from the iPod. It supports data restoration from various iPod brands like Apple iPod Nano, Mini, Classic, Shuffle etc. Recover files from the external hard drive brands like Seagate, Western Digital, Hitachi, Samsung, Iomega etc. 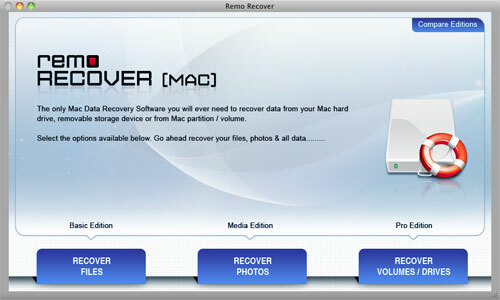 How to restore data using the Best Mac Recovery Software? Step 2: After that, you will get two different options in a new window like “Volume Recovery” and “Formatted/Reformatted Recovery”. Select the 2nd option to retrieve data from formatted or reformatted Mac volume. Then you have to select the drive/volume from which you have lost data. After selecting the appropriate volume click on “Next” to start the data retrieval process.